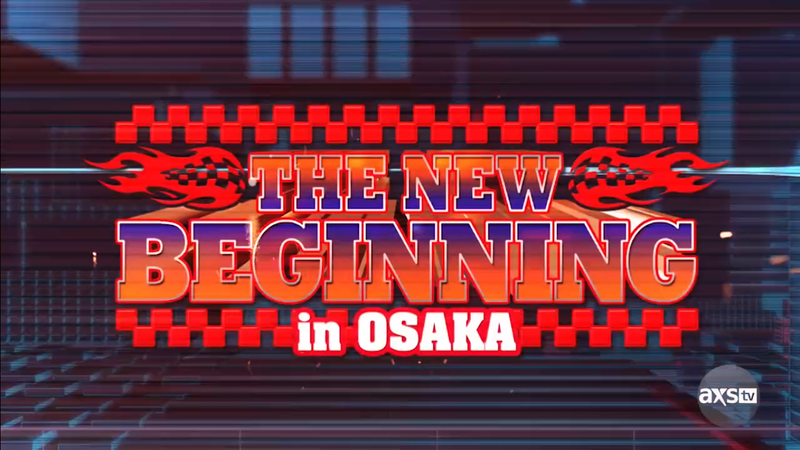 Mitchell’s NJPW Report: AXS TV New Beginnings in Osaka Part 2! This review of NJPW: New Beginnings in Osaka Part 2 will be as broadcast by AXS TV. Therefore, all images are courtesy of AXS TV. From February 10th – Yoshi-Hashi VS Tetsuya Naito; Naito wins. IWGP Heavyweight Championship: Kazuchika Okada VS SANADA; Okada wins and retains the IWGP Heavyweight Championship. 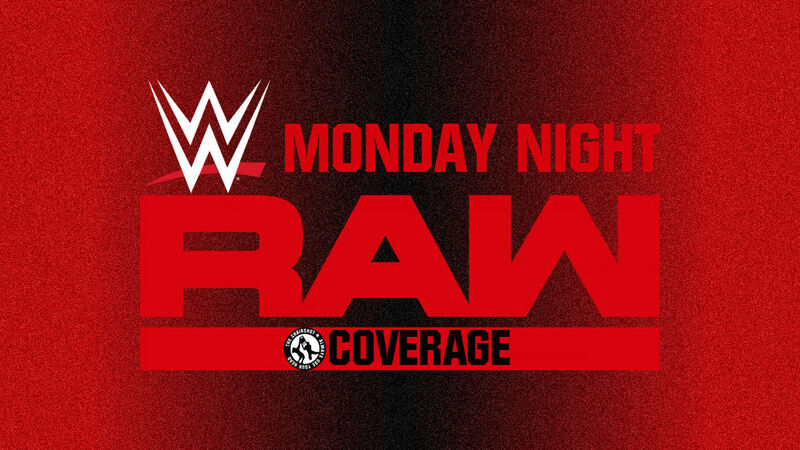 AXS TV and NJPW review what led to tonight’s championship match! 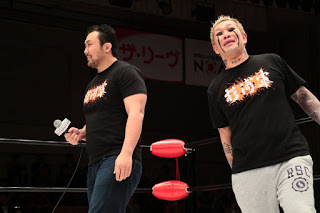 While The Rainmaker has successfully defended his IWGP Heavyweight Championship time and again, the faction feud between Los Ingobernables de Japon and Chaos has been heating up. Kazuchika Okada dared Sanada to use his “real voice”, then told him to “shut up for the rest of your life.” Will Okada regret treating Sanada like a “punk”? Or will Sanada just be added to the list of names Okada has overcome? From February 10th – Yoshi-Hashi VS Tetsuya Naito! We join this grudge match between the Head Hunter and The Ungovernable while in progress. Hashi drags Naito up, then prepares the pumphandle, but Naito fights out. Hashi haymakers Naito and goes for it again, but Naito slips out, slaps Hashi and German Suplexes him over! Both men are down while the fans applaud. Naito gets to a corner and stands up, Hashi runs in but misses, Naito’s enziguri sits him down. Naito hoists Hashi up to the top rope, and hits a SUPER Steiner! But somehow Hashi stands up. Naito rocks him with a rolling kick and throws him with a Dragon Suplex, but Hashi still stands up! Hashi comes over, Naito blocks the first kick but takes the heel kick. Naito staggers but ducks under to tilt-o-whirl for the inverted DDT. He brings Hashi up again for another tilt-o-whirl for DESTINO! The Uncontrollable Charisma is tranquilo as always, even in victory. 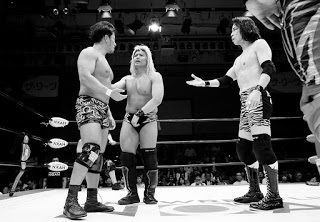 Though, Naito isn’t all that respectful about it as he fakes offering his hat to Hashi, but then spits on him instead. Respectful or not, will Naito climb back up the mountain towards the IWGP Heavyweight Championship? But wait! Taichi attacks Naito! The World’s Sliest Wrestler and member of Suzuki-gun not only clobbers Naito with that walking stick, but chokes him with it! The bells ring but Taichi drags Naito backstage with him! Taichi stands over Naito and says, “Your words created a new threat to New Japan, and to you.” Taichi is “reborn as a menace”, and his first target is Naito! Got that, “you damn fool”? Naito recovers after Taichi leaves and says his challengers are popping up all over. “Facing me is a golden opportunity” for Taichi, it’d be a shame not to take it. Did you see Taichi’s face? He hasn’t been that amped in years. Not since their time in Mexico together, six or seven years ago. Naito is too busy for Taichi, so if he wants to have a match, “he needs to make bigger waves.” Then Naito will consider it. Right now, he’s just on a different stage. From Hashi to Chris Jericho to Taichi, Naito has a lot of possibilities. Will he be able to stay tranquilo through it all? Rey Mysterio appears on the titantron! The King of Lucha says “konichiwa” to the NJPW audience in Osaka to announce his first-ever match for NJPW! Mysterio challenges “one of the greatest Junior Heavyweights of all time”, Jushin Thunder Liger! Mysterio wants to see Liger at Strong Style Evolved, March 25th at the Walter Pyramid, Long Beach, California! What does Liger have to say to Mr. 619? He is currently on NJPW commentary, so he can readily answer. Liger is honored to be challenged, and the fans chant for Liger. Mysterio is a legend, truly, and being called out like that fires him up. Liger accepts! A major match is made for the American event, which living legend will leave Long Beach the victor? IWGP World Heavyweight Championship: Kazuchika Okada VS SANADA! The Osaka record-setting sell-out main event begins! Will the stoic Cold Skull conquer the reigning Rainmaker? Or will he fall like all the rest and add to Okada’s own pursuit of record-setting? Red Shoes shoes Sanada the title, and Sanada gives a nod. The belt is put away, and we begin. The fans cheer, chanting for Okada, but Sanada simply shrugs it off. They circle, slowly approaching and feeling out the grapples. Sanada lunges, Okada gets on top, but Sanada flips him to a grounded keylock. Sanada shifts it to a headlock, which Okada rolls to a cover, but Sanada doesn’t even give Red Shoes time. He wrenches Okada’s head, but Okada rolls again, ONE, back to Sanada’s control. Okada works back to the cover, ONE, then Okada slips out on the return to have Sanada in a hammerlock. Okada tweaks the arm, then works to get the other arm involved. It’s a cover, ONE, and the two separate. The fans applaud while Sanada gets his arms working again. He and Okada tie up again, Okada gets armlock control. Sanada reverses the hold and wrenches Okada’s wrist. Okada spins around to reverse it back, but Sanada rolls and handsprings to cartwheel and handspring, arm-wringer but Okada shoves him away. The fans applaud this second stand-off, each man in a corner to formulate strategy. Okada and Sanada circle again, tie up, and Okada rolls to use the keylock. Sanada resists being pushed back, but Okada gets a foot hooked for leverage. Okada pushes and Sanada bridges to avoid being put on the mat. Sanada stands up but Okada shifts around to a headlock. Sanada powers out, but Okada runs him over. The fans applaud while Okada gets moving again. Sanada stands up, but his hip-toss is blocked and countered with a hip-toss. Okada watches Sanada roll to the apron before coming over. He brings Sanada up but Sanada rocks him with a right. Sanada goes to springboard but Okada rocks him right back. Okada joins Sanada on the apron now, bringing him up, but Sanada resists, powering him into a post! Sanada then grabs Okada, and they LEAP to the barriers! Okada goes down, clutching his face, while we go to break. NJPW on AX returns as Sanada takes his time going back into the ring. Red Shoes counts and Okada stirs at about 5. He beats the 20 count at 14, but Sanada is right upon him, throwing him right back out. Sanada goes out and brings Okada up the ramp, for a piledriver! Sanada leaves Okada behind while Red Shoes comes to check on the champ. Okada is okay to continue, despite clutching neck and shoulders. Red Shoes returns to the ring and counts while Okada gets up. Okada walks back to the ring, his sore spine slowing him down, but manages to make it in before 20. Sanada is relaxed as he drags Okada back up for the cravat neck wrench. He wrenches Okada but Okada fights out. Okada runs but into a back elbow, standing moonsault on top! TWO, but Sanada is tranquilo per the LIJ lifestyle. Sanada puts Okada in a chinlock, digging a knee into the back. Sanada shifts to a standard chinlock, but Okada stands up and fights out. Okada runs again, but again into a back elbow. He avoids the moonsault this time, but not the dropkick! Cover, TWO, but Sanada stands on Okada before stomping him. The fans rally for Okada, but Sanada keeps control with another piledriver! Cover, TWO, and Sanada feels less tranquilo now. He puts Okada back in a chinlock, grinding Okada down again. Okada stands up and fights out again, runs but dodges the elbow this time to throw forearms. Sanada knees low and runs, but into a big flapjack! Both men are down, but after catching his breath, Okada mananges a kip-up! He takes aim at Sanada and starts rallying with running elbows. Sanada reverses a whip, misses his chops, and gets run over by Okada’s back elbow! Okada drags Sanada up, forearms him into a corner, then whips him corner to corner. He back elbows and DDTs Sanada, then covers, TWO. Okada keeps going as he climbs up top. Sanada stands and stops Okada with a body shot, then dumps him off the top rope to the mat. Sanada drags Okada up and haymakers him to a corner. He whips Okada corner to corner but Okada reverses. Sanada tumbles to the apron, but Okada triangle dropkicks him down! Sanada hits the barriers, then Okada comes out to fetch him. Okada whips Sanada at more barriers, then boots him over! Okada goes through the gateway to drag Sanada up by his hair. He drags Sanada out over the railing, to hit a draping DDT! Sanada writhes from the impact. Red Shoes checks on him and Sanada is okay to continue. Okada goes back into the ring, but then comes back out to fetch Sanada. They go back into the ring, Okada stalking Sanada this time. He toyingly kicks and stomps Sanada, which some boo. Sanada stands up, and with Okada grinning at him, starts throwing forearm after forearm. Okada gives one back, then another, then lifts Sanada up for the reverse neckbreaker! Sanada writhes again while the fans cheer for Okada. Okada climbs up again, takes aim at Sanada, and leaps for the elbow drop! But that’s not enough, Okada calls for his signature move! He brings Sanada up, wristlock swing-out, but Sanada ducks under to slam Okada with a strong back suplex! Both men are down again while we go to break. NJPW on AXS returns to the two men slowly stirring. Okada sits up first, but Sanada heads for the ropes. The fans rally as Okada runs in, but Sanada boots him away. Sanada runs out, Okada scoops him, but Sanada slips down. Okada elbows Sanada away, Sanada blocks the boot, but Okada still rocks him with a forearm. Okada runs, Sanada leaps over twice to then dropkick Okada all the way out! Sanada aims as Okada rebounds off barriers, to then slingshot plancha! He topples Okada down and the fans fire up. Sanada encourages them, then builds speed to FLY once again! The crossbody takes Okada down again, but Sanada stands up again. The fans cheer while Sanada puts Okada back in the ring. Sanada takes aim, and hits a springboard missile dropkick! Cover, TWO! Sanada returns to tranquilo as he stands over Okada. Okada throws a forearm, so Sanada responds. Another from Okada, another from Sanada. They go back and forth, Sanada gets the edge, but Okada blocks to counter with a boot. Okada lifts Sanada but Sanada slips out, Sanada has the waistlock but Okada gets the standing switch. Okada German Suplexes but Sanada lands on his feet! Sanada sees Okada coming, side-steps and rolls Okada up, into the dragon sleeper! Okada drops out, rolls Sanada to a cover, TWO! The two stand up, Sanada kicks low and whips but Okada reverses. Sanada fakes out Okada’s dropkick, and drags the champion up into the dragon sleeper! Okada fights but Sanada holds on, so Okada sticks a foot out and gets the ropebreak. Sanada lets go, but he walks off his frustration to then return those taunting stomps from earlier. Okada looks up at Sanada and Sanada kicks him in the chest. Okada stands up and throws forearms, to which Sanada responds with his own stiff forearm. Sanada drags Okada up but Okada resists the fireman’s carry. Okada clubs Sanada, then gives him a European Uppercut, to which Sanada responds with a stiffer EuroUpper. Fans applaud Sanada’s striking strength while Okada stands up. Okada runs over, Sanada lifts him in the fireman’s carry, but Okada slips out to the wristlock! He swings Sanada out, but Sanada counters with another fireman’s carry, and the TKO! Sanada crawls to the cover, TWO! The fans fire up as Sanada stands over the dazed Okada. Sanada drags Okada back into the dragon sleeper, but Okada slips out to arm-drag Sanada away. Sanada runs back in, but Okada catches him into a cobra clutch! Now Sanada arm-drags Okada, then runs but misses in the corner. Okada hoists him up, Sanada kicks him away. Sanada elbows Okada back then hops up, moonsault into the dragon sleeper! Sanada drops down for the bodyscissors to complete Skull End! Okada reaches with his free arm, but Sanada has him down. Sanada’s bodyscissors are loose, so Okada uses that to move around. Okada reaches with his legs again, but Sanada wrenches back to clamp the bodyscissors on nice and tight! Red Shoes asks Okada if he wants to quit, but there is no quit in the Rainmaker. Sanada’s legs lose grip again and Okada rolls around, only for Sanada to bring him right back. Sanada thinks he has him, but Okada suddenly pops out to get the ropebreak! The fans applaud while Sanada lets go in frustration. Sanada stands up and drags Okada. He scoops and drops Okada, then climbs up and moonsaults back! But he has to land on his feet when Okada rolls away! Sanada’s leg jams a bit, and Okada drags himself up. Sanada runs into Okada’s boot, but tries again, only for another boot. Okada runs out but into Sanada’s full nelson. Okada breaks free, but Sanada just gets him in the double butterfly, for the tiger suplex! Bridge for the cover, TWO! Sanada can’t believe it, but Okada gets himself to a corner again. Sanada hoists him up to the top rope backwards, then climbs up to join him. Cold Skull puts on the dragon sleeper even up there, but submissions won’t matter when they’re on the ropes. Sanada lets go, then turns around to bring Okada in for a SUPER backbreaker! Cover, TWO! Somehow Okada survives, but Sanada brings him back into Skull End! But Okada rolls through! Rain- No, Sanada steals The Rainmaker!! Cover, TWO!! Okada survives his own move, and Sanada can’t believe it! However, Okada is still dazed and in danger while we go to break. NJPW on AXS returns once more, and Sanada draggs Okada up once more, only for Okada to reverse and steal the dragon sleeper! Okada wrenches Sanada, and Sanada looks to be fading! He holds out as Okada wrenches deeper, but then Okada suddenly stands him up for a dropkick to the back! Sanada staggers, Okada whips him, and dropkicks him in the front to drop him down. Okada keeps going, bringing Sanada back up, then scoops, for the Tombstone! Okada isn’t done there. He drags Sanada up, wristlock and swing, but Sanada once again ducks and tilt-o-whirls over–rather Naito like, even–and brings Okada back into the Skull End! The fans are thunderous while Okada endures the hold. He fades, but Red Shoes needs confirmation. Red Shoes lifts Okada’s arm and drops it, and it falls. He does it again, but Okada comes back to life. Sanada decides to leave Okada down and out while he climbs up top, and hits the moonsault! Sanada’s leg slows him to the cover, TWO!? Sanada moonsaults again, but Okada upts up his knees! Okada brings Sanada up, and reels him in for The Rainmaker! But Okada can’t make the cover, he’s exhausted. The fans are thunderous as Okada sits back up. Okada drags Sanada up again, for a second Rainmaker! He keeps going, bringing Sanada up for the wristlock and a third- No, Sanada slips under again, but runs into the scoop! Sanada powers through but then Okada slips out, to hit a German Suplex! Okada rolls Sanada while holding that waistlock, to then make it the wristlock swing-out, for that third Rain- No, Sanada again avoids it for another tilt-o-whirl, but Okada blocks that into a second, jump-spin Tombstone! Yet Okada still won’t end it. He brings Sanada up one more time, wristlock swing-out for the third Rainmaker!! Okada covers, Okada wins!! This makes TEN successful title defenses for the champion! It took the Rainmaker quite a bit to defeat the Cold Skull, but now he’s just one win away from tying the defense record set by the Ace, Hiroshi Tanahashi. Red Shoes has the honor of helping Okada put the title belt back on, and fans applaud the conquering champion. Young lions help Sanada to the back while Okada watches. The fans chant for Okada, and he takes a mic to speak. “I’ll go home in a minute. Just let me talk first. I wanna say three things!” First, Sanada is damn tough. EVIL and Naito are really good, no doubt, but Okada is still “miles ahead of any of you” in LIJ. Second, he knows the New Japan Cup is coming, and though he’s already beaten a lot of those guys, they all get a chance to lose to him again. He doesn’t care who, so long as someone steps up to challenge him! Third, well, actually there isn’t a third. Okada would throw it over to Gedo but he’s not here, so Okada decides to keep going. The New Japan Cup is coming, but there’s a certain anniversary show. Who should Okada face? The heavyweights will be in the New Japan Cup, and it has been awhile, so how about Heavyweight Champion VS Junior Heavyweight Champion? In other words, Okada wants Will Ospreay! The fans like the sound of that. “For the 46th anniversary, and the next one after that and so on”, as long as Okada is champion, “I’m gonna make it rain!” The IWGP Heavyweight Champion is ready for anyone and everyone, but will he really be ready for his own Chaos teammate in the Aerial Assassin? Backstage press conference with Sanada. Cold Skull is on the floor as he says, “Going after that belt was the right decision.” He then wills himself to his feet and walks to the locker room. Can this half of the IWGP Tag Team Champions sort himself out to rise up again? Kazuchika Okada holds his press conference. He again admits that was a tough match. Every defense always takes a lot out of him, and Sanada was “so incredibly strong”, Okada isn’t really sure how he won. He wants to make the belt synonymous with his name, “Okada”, but things don’t always go as planned. He has it now, though, and the reporters let him know they look forward to his next defense. And Will Ospreay is here, in response to Okada’s comments after the match. Ospreay steps forward to speak. “The first time I ever met you, October 2015, and I challenged you.” Ospreay knows he was so close to winning. Two years have passed, under Okada’s tutelage, and Ospreay has seen Okada defeat challenger after challenger. If this is a test to see Ospreay be his own person, Ospreay accepts it. But just fair warning, unlike all the challengers Okada has dominated, Ospreay’s gonna win. Okada knows they’ve only faced each other once before, back in October of 2015 as Ospreay said. Ospreay was impressive, and it’d be a shame if he stayed in England. Okada knew that bringing Ospreay to NJPW would make him into something special. “Once, there was Antonio Inoki VS Karl Gotch.” Now, there will be Okada VS Ospreay. When these two step into the ring for a Champion VS Champion instant classic, who will prove themselves truly the best in all of NJPW? Great, great stuff once again. We didn’t get as much of Hashi VS Naito as I expected, though I was surprised to see it at all. The main focus was Taichi’s attack to try and start something with Naito. I like how Naito brushed it off, barely even concerned that Taichi wanted after him so badly. He also makes it as a sign of how truly talented and popular he is, a great bit of Heel attitude for the leader of probably the hottest Tweener faction in wrestling today. Naito VS Taichi already happened at “Takataichimania”, which was really just the 46th Anniversary Show. Naito went over because he’s on a roll and is ready to move on to any number of things. The Mysterio VS Liger match was set here, but we know in the present that Mysterio ended up injured, so he won’t get to keep the challenge he issued. Ospreay will take his place as the next best substitute to Mysterio’s speed, or maybe a superior, not sure who is faster. A bit of a shame, but maybe Mysterio can try again when he’s healthy. Okada VS Sanada was top tier, and it really builds Sanada’s power level that he endured so much from Okada while coming close to where even Okada admits to it. All the members of LIJ are rising up in the ranks, they’ll be the group to keep your eyes on. Okada VS Ospreay also already happened at the 46th Anniversary, definitely top tier stuff. Okada is right that Ospreay is something special thanks to being in NJPW, but so is Okada. 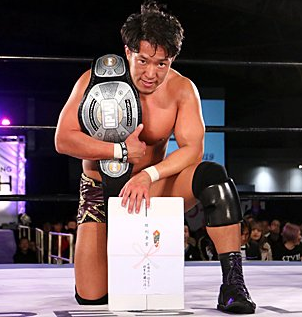 Mitchell’s NJPW Report: AXS TV Honor Rising!